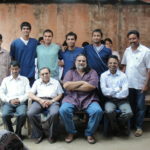 First wrote on 19.7.05 by Vasudev; since updated. 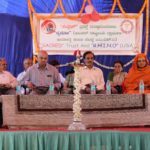 Ten years ago the SACRED Trust started the programme of spreading Computer Literacy among the Rural School Children in Kanakapura tq. The motivation was purely the desire for pleasure through service to the poor & the needy and also to fulfill the last wish of the Founder’s father to modernize school education in Doddamudawadi village in Kanakapura taluk. 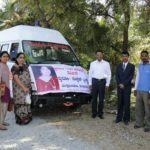 There are now 106 computers functioning out of about 450 computers transferred so far from donors to 59 computer centres in as many villages and 3 towns in Kanakapura and Ramanagara taluks located about 40-50km South and Southwest of Bangalore metropolitan city. About 18,000 school children have become computer Literates in the last 10 years since the inception of the Trust in April 2005. 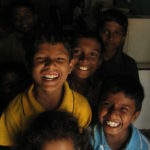 Way back in 2005 the Trust dreamt of a future Village-India Knowledge-Aided Society (VIKAS) in which our computer-internet literate children and youth would not feel shy to interact with urban children and youth. Computers are the way for a decent living in a wired-village India. 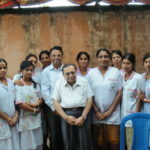 The Trust dreamt of a future India where there would be little difference in access to modern educational facilities and access to medical aid between the urban and rural India. Poverty in Rural India is the main cause for the lack of all round development of villages. Poverty can be eradicated not just by giving subsidies but by creating a knowledge society in villages to enable farmers to better utilise whatever natural resources their villages are bestowed with, including better utilization of soil, limited water resources, pesticides, manures and mineral resources. The farmers should receive a decent value for their efforts, be it agriculture or any other skill. At the same time middlemen and commission agents must be rooted out. It is the firm belief of the Trust that it is definitely possible to achieve the foregoing goals by establishing computer-training centres on a large scale in all the villages and training both the teachers as well as children and youth. At the same time English language must be taught from class one. Laying of internet cables in the villages is another major and important task that both State and Central Governments should quickly initiate. Present day children will be tomorrow’s computer-literate youth. Our Govts do not have to do anything more than imparting computer education. The youth and the children will drive the rest in that knowledge society. They will determine their own destiny as they share and become part of the Global Knowledge Society. There will be little room for corruption as all data become computerised. There will be more Governance and less Government. Unscrupulous Politicians and lazy bureaucrats can no longer cheat them. Farmers will be able to demand a decent price for their produce, labour and efforts. Their children will then have the same facilities as their urban counterparts. Dr.Abdul Kalam’s dream of PURA(Providing Urban facilities in Rural Areas) would be accomplished. Computers are the way for a decent living in a wired-village India. 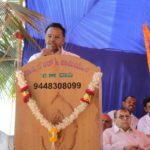 The SACRED Trust Needs your Support for spreading Computer Literacy in India currently initiated in Rural Karnataka.